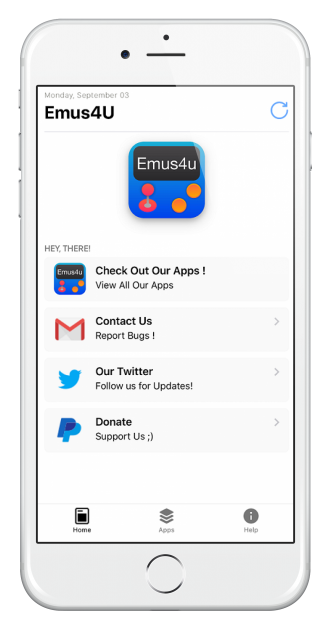 Emus4U is a Cydia alternative with a difference – it contains more Cydia tweaks than many of the others including the ever-popular games emulators that let us play console games on our iOS devices, and you can download Emus4U app it by clicking the button below. Tap Trust and come out of Settings – the app will work just fine now. Can Emus4U Void My Warranty? No, it cant. Emus4U is a legal app, not requiring root access to the iOS and that means it doesn’t flout any of the security protocols Apple puts in place. That said, some of the Cydia tweaks available on the installer are likely to change the way your device functions and that can void your warranty – if your device has to go back to a store, just delete the tweak first. This usually happens because Apple has revoked the app certificate and the developers haven’t gotten around to replacing it, or they are updating as you try to download it. The app runs on expired enterprise certificates and, although the developers do keep on top of it, sometimes they miss one out or are delayed in updating it. Delete Emus4U and wait; when the certificate has been updated, you can try again. Find out when the update happens by liking this page on Facebook and clicking on Following > See First. You may also see the same error when you try to install modified stock apps, like Spotify++. Without removing the original app first. Always delete the stock app and then install the ++ app. If you get this message, the app has crashed, probably because the certificate has been revoked. Wait an hour or so and try again; it should work. Can I Ask for An App to Be Included? Yes, you can, via the Twitter feed for the developers but we can’t guarantee they will be able to honor your request. What Do I Do When My Apps Crash? The best way to solve this is to delete whichever apps crash and reinstall them. Wait a minute or two and then turn it on and try downloading Emsu4U again. Close Settings, try Emus4U, and it will work. Emus4U will crash because Apple will revoke the app certificate. This is because it isn’t an official app and all you can do is reinstall it and start again. If you install a VPN alongside Emus4U, you can stop that from happening – the certificate is hidden, and Apple can’t revoke what they can’t see. Emus4U is one of the best Cydia alternatives, purely because of what it offers, not to mention that it is entirely free. If you try it, drop us a line in the comments box below with your views and follow us on Facebook for more tips like this.